The contemporary condominiums in this 3-storey lodge offer the ultimate in Village convenience, as they're centrally located in Village North, and close to Whistler's Marketplace. The Village ski lifts are within 300 metres walking distance, and for the evening, Tyndall Stone offers easy access to shops, restaurants and all amenities. Enjoy the lodge-style features including a common outdoor dip POOL and HOT TUB. 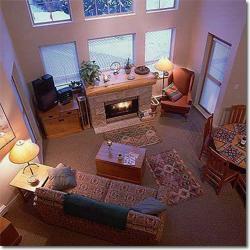 The deluxe suites feature a gas fireplace and private balcony, with most offering high ceilings and spacious interiors.